Welcome to HOTEL Campanile hotel Swindon! 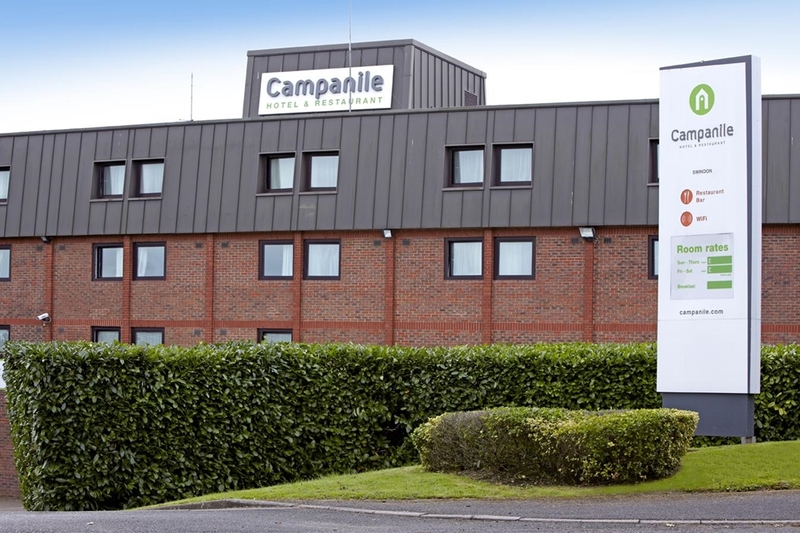 Your Campanile Hotel Swindon is ideally located in a quiet business park close to the centre of Swindon. It is well situated for the business traveller to Swindon just 5 minutes from junction 16 of the M4 motorway, giving easy access to Bath, Bristol or indeed Reading within 45 minutes. For leisure guests Swindon is a good location for touring being within easy travelling distance of Oxford, Bath and the Cotswolds. Swindon Design Outlet is 5 minutes away from the hotel.